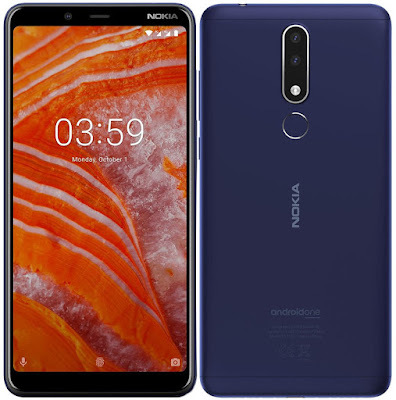 After Nokia 5.1 Plus & Nokia 6.1 Plus Nokia has launched Nokia 3.1 Plus Smartphone in India. It has a 6-inch HD+ display powered by an Octa-Core MediaTek Helio P22 SoC with 2GB/3GB RAM and 16GB/32GB internal Storage. Nokia 3.1 Plus comes in Blue, White and Baltic colors is priced at Rs. 11,499 for 2GB RAM Model and EUR 149 for Global market. 3GB RAM price not yet Announced and will go on sale from October 9th through offline retailers and Nokia online stores. It comes with 1TB data for Airtel users with plans greater than Rs. 199 per month.